If you need to know what’s going on with permanent jobs in the South – look no further. 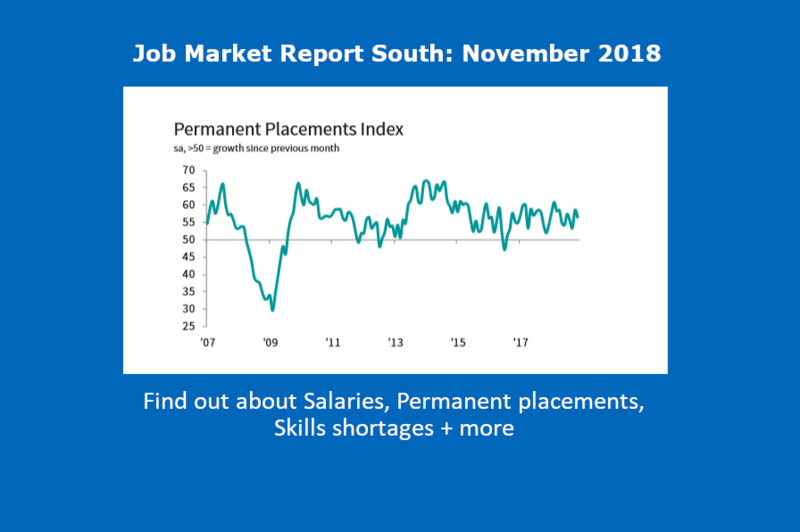 Here is our monthly summary of REC’s & KPMG’s November Job Market Report for Hampshire, Dorset and the South. Giving you the latest on salaries, placements and job skill shortages in the South. “It is very encouraging for the region that the number of Permanent jobs in the South are growing at a quicker pace than the national average, and that the salaries on offer for the positions are strong, having risen markedly in the last month, at what is in fact one of the fastest rates seen in 20 years. 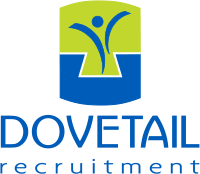 Recruitment consultancies in the South of England signalled a sustained rise in the number of people placed into permanent jobs during November, thereby extending the current sequence of expansion to 28 months. Despite easing from October’s eight-month record, growth remained strong overall and continued to outpace the UK average. Panellists that reported higher placements widely commented on rising demand for staff across their client bases. Demand for staff continued to rise sharply in the South of England midway through the fourth quarter. The growth of permanent vacancies reached a three-month record and outpaced that seen for the UK as a whole. After falling at the quickest pace for nine months in October, the deterioration in permanent staff availability eased in November. Notably, the latest drop in supply was the least marked since March 2017, albeit still sharp overall. Nonetheless, the rate of contraction remained stronger than that seen at the UK level. Widespread skills shortages and uncertainty around Brexit had reportedly led to the latest fall in candidate numbers. Salaries awarded to permanent starters in the South of England continued to rise markedly in November. Furthermore, the rate of increase quickened slightly since October and was among the fastest seen since data collection began over 20 years ago. The pace of salary inflation was also sharper than that at the national level. Recruiters widely linked the rise to demand for staff outstripping supply, resulting in greater competition for workers. Permanent staff placements continued to rise markedly across the UK in November. However, the rate of expansion was the slowest since July and the second-weakest recorded in 2018 so far. The softer performance was driven by slower increases in the North and South of England, with the former recording only a marginal upturn that was the joint-softest since April 2013. After expanding at the quickest rate for five months in October, the rate of growth in temp billings eased during November. Though still sharp overall, it was the joint-weakest increase seen for just over two years (on a par with August 2018). All four monitored English regions reported softer growth in temporary billings compared to October. At the UK level, permanent staff availability fell for the sixty-seventh month in a row during November. Rates of contraction remained sharp in all four covered English regions. That said, the overall pace of decline was the softest since March, with both London and the South of England registering slower falls compared to October. Temporary labour supply also contracted at a slower pace in November, registering the softest decline for three months. However, the drop in availability was still historically marked and sharp overall. At the regional level, the quickest fall was recorded in the Midlands, and the slowest in the North of England. November data pointed to a further sharp rise in starting salaries for permanent staff in the UK. This was despite the rate of growth easing to a three-month low. Faster rises in London and the South of England contrasted with slower increases in the Midlands and the North of England. Temporary pay rates across the UK increased at the fastest pace since July 2007. Stronger rates of wage inflation were seen in three of the four monitored English regions, with the steepest rise seen in the South of England. London was the only location to report slower growth. However, the deceleration was fractional, and the increase still sharp overall. Thanks as always to KPMG and REC and IHS Markit for this monthly data. How work is like a (celebrity) Jungle!